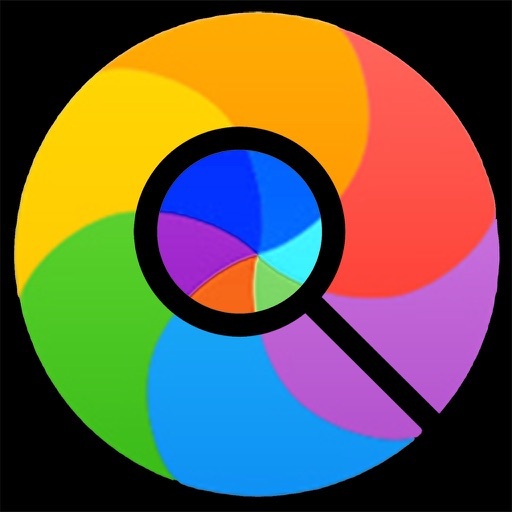 Professional color mixing, matching and management for graphic artists, web developers, designers and painters. •No pop-ups to get you to rate the app. 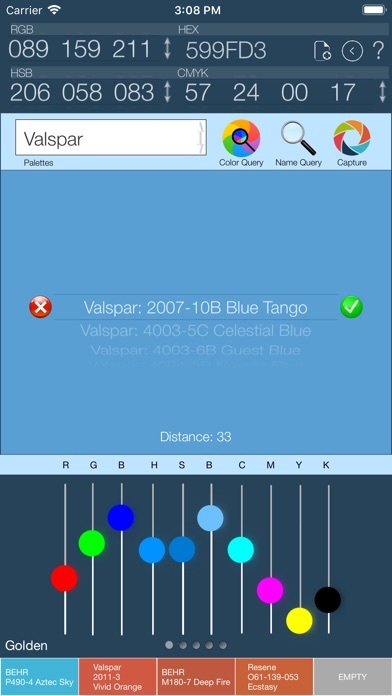 When there are colors to mix and match, there is one app to use and that one app is Color Query Pro for iPhone. Just point your iPhone at a wall or other object and snap a photo. 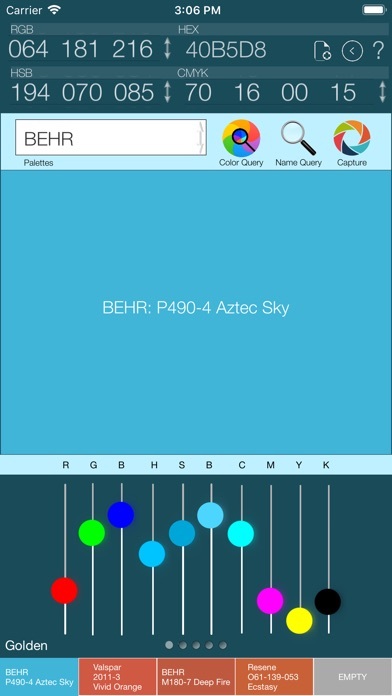 Color Query will analyze the photo to determine its properties like RGB, CMYK, HSB, and HEX. 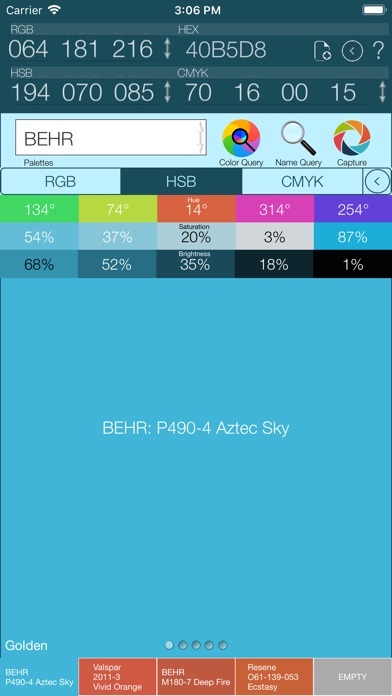 You’re also able to find the closest color when compared to fifteen standard pallets. 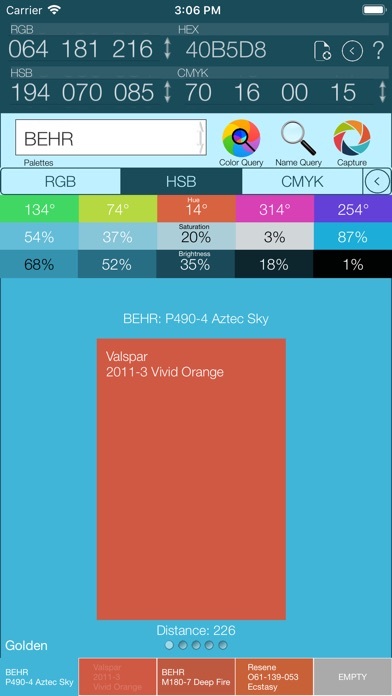 You can adjust colors, view variations, and save as many 25-color palettes as you like. 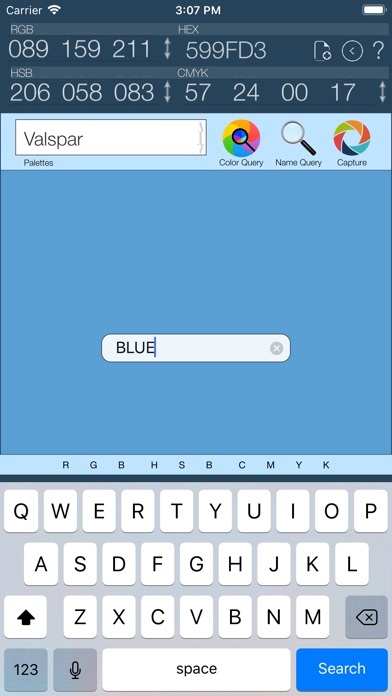 You can also query a color by name or number. Note: Colors displayed are simulations of the actual color.